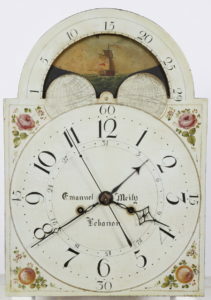 Emmanuel Meily was a clockmaker from Lebanon Boro PA. He was the son of clockmaker Samuel Miley. 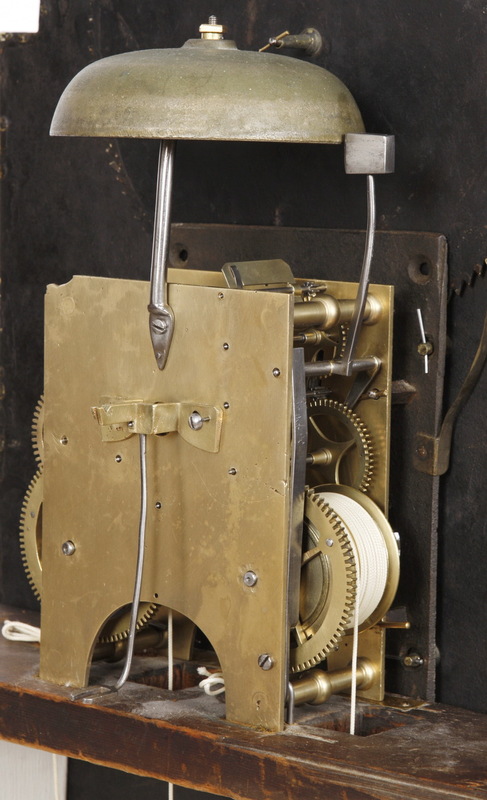 He was born in 1776 and died in 1851. In addition to his activity as a clockmaker, Emmanuel was the county treasurer from 1832 – 1834 and chief burgess of Lebanon in 1846 and 1847. 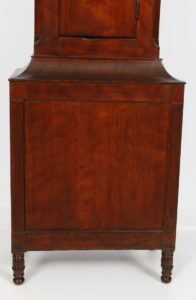 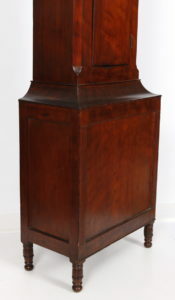 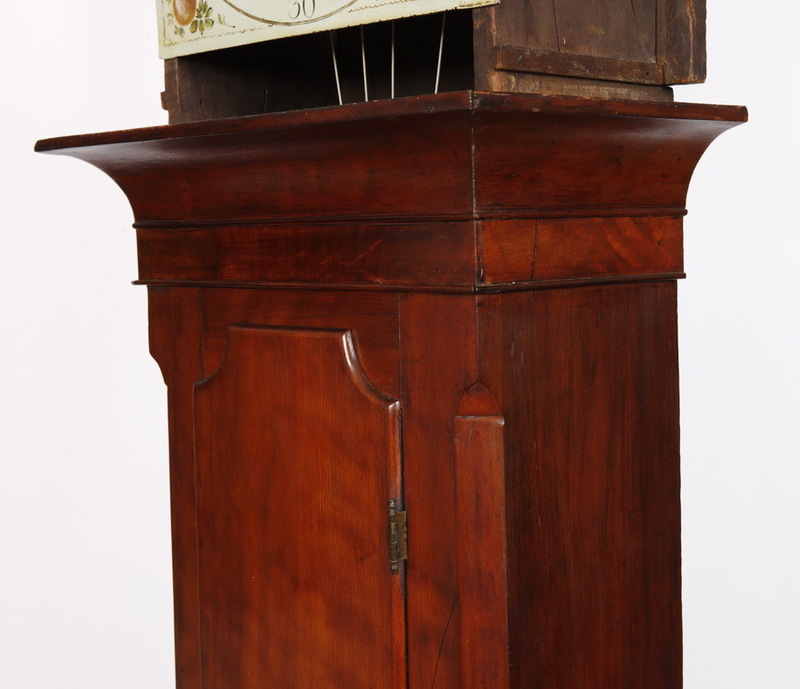 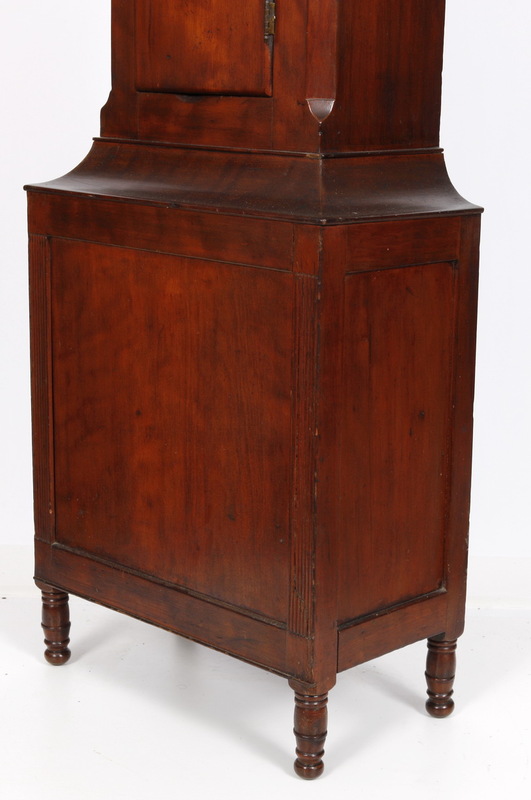 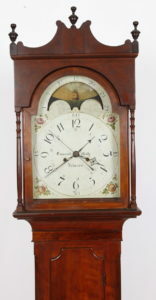 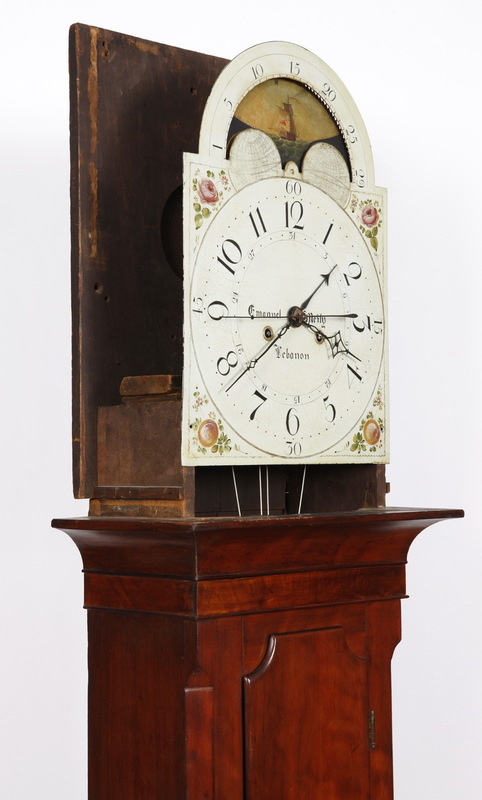 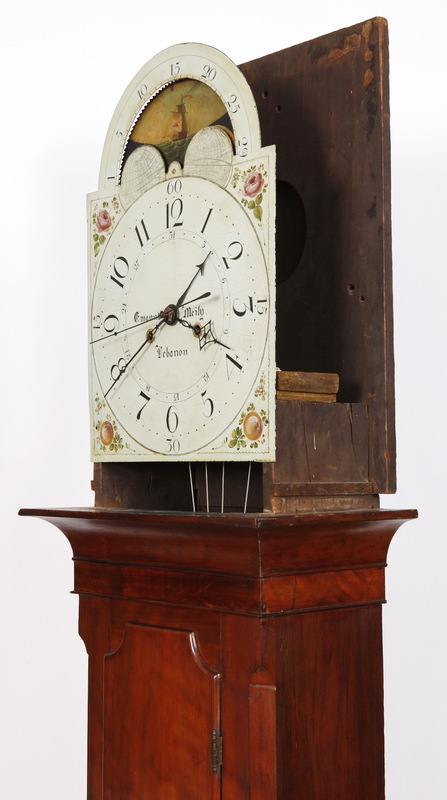 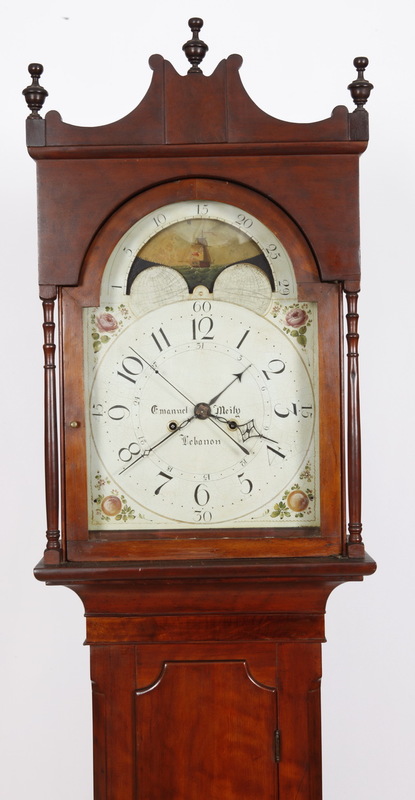 The clock in the pictures shown here is a classic Sheraton style case with paneled base and sides, turned feet, reeded columns, horizontal sectioned raised panel backboards, and “castle top” applied crest. 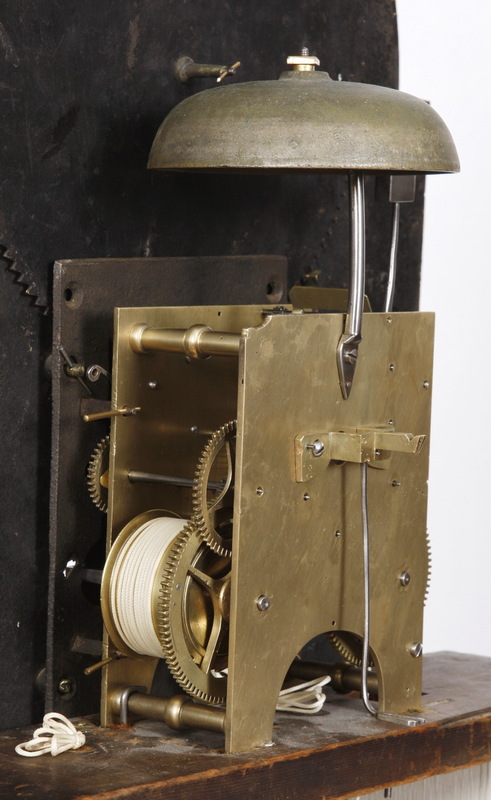 The waist door is flanked by chamfered columns with “lamb’s tongue capitals.” The eight day brass striking movement features four hands off the center shaft with sweep calendar and sweep seconds. 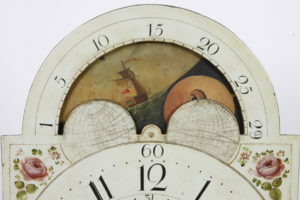 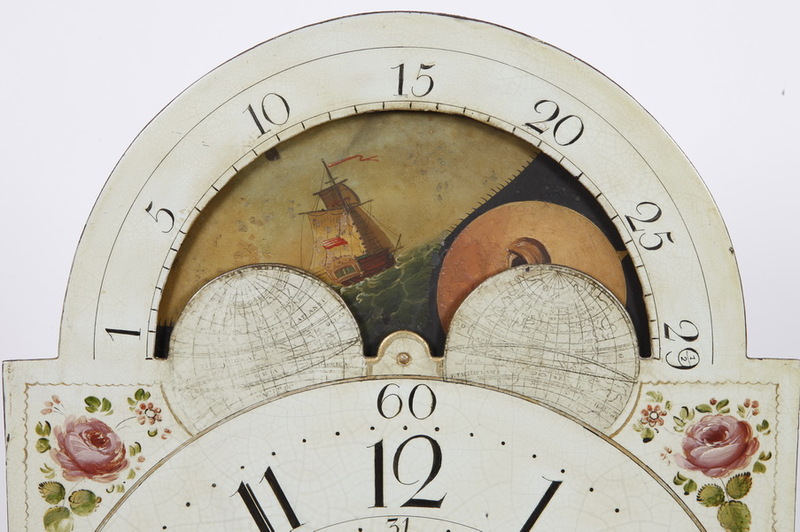 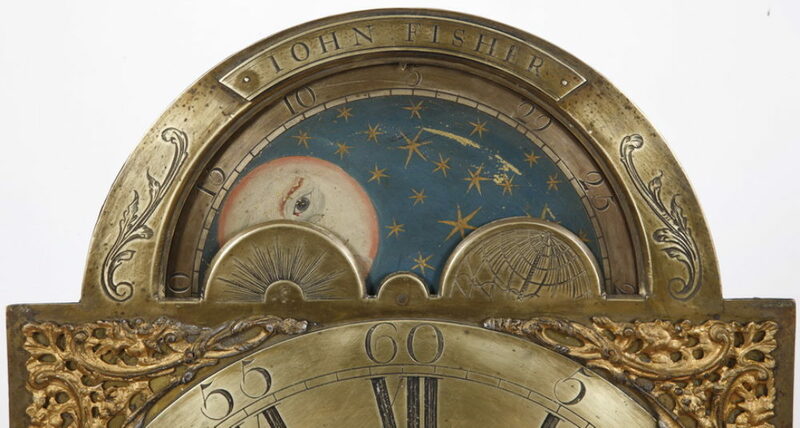 The American painted iron dial with phases of the moon has a sailing ship in one scene with an American flag flying on the mast. 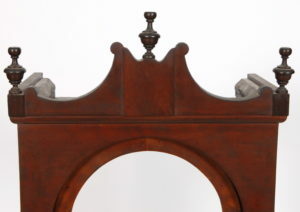 The primary wood in the case is highly figured, first finish “curly Cherry” and it has a rich patina. 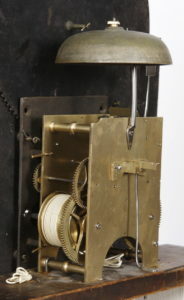 Overall dimensions are 96 X 19 X 11 inches.